Shock as judge says Chiwenga ordered 1 August killings! In a shocking move, a High Court Judge has ruled that Vice President Constantino Chiwenga ordered the deployment of soldiers who were involved in the August 1 post election killings that saw them shoot live ammunition on opposition protestors leaving six of them dead. Justice David Mangota has absolved President Emmerson Mnangagwa of any involvement in the matter and instead saying General Chiwenga is the one who is fingered. 5. He in turn dispatched members of the defence forces who work under the command of the regulating of the district in Harare. Because the President did not deploy, he is not conflicted as the applicants would have the court believe. He also did not violate Section 214 of the constitution. He, in other words, did not owe a duty to report to parliament matters which did not arise out of the power which the constitution confers upon him. 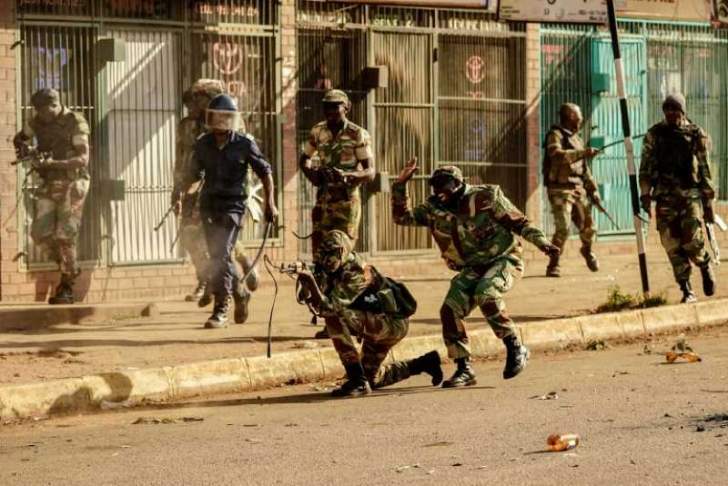 A finding has been made to the effect that the First respondent (Mnangagwa) did not deploy members of the defence forces on to the streets of Harare, The commission of Inquiry which he established is meant to achieve nothing else but that. " Allison Charles and Counselling Services Unit were seeking an order to nullify the Commission of Inquiry led by Former South Africa President Kgalema Kgalema Motlanthe on the grounds that the appointing authority is conflicted in the matter.